As part of the Federal Government commitments to support the growth in Micro, MSME Small and Medium Enterprises, 36 finalists have been selected for national MSME awards to be held Thursday in Abuja. A statement by the Senior Special Assistant to the Vice President, Laolu Akande in Abuja, yesterday, explained that the 36 finalists were selected from businesses across the country. Akande further commented that the selection process has been completed on July 3, 2018, with 36 MSMEs in each of the 12 awards categories designed for the program. According to him, "The 12 categories are MSME of the Year, MSME of the Year, MSME State, Excellence in Creative Arts, Excellence in Agriculture, Excellence in Manufacturing, Excellence in Technology and Excellence in Fashion and Style. Excellence in Leather Works, Excellence in Furniture and Wood Works, Excellence in Beauty, Wellness and Cosmetics, and Excellence for Non-Profit Service to Humanity. "The criteria for selection include: outstanding business concept, locally produced goods, use of local technology, provision of conductive atmosphere for MSMEs to thrive among others." 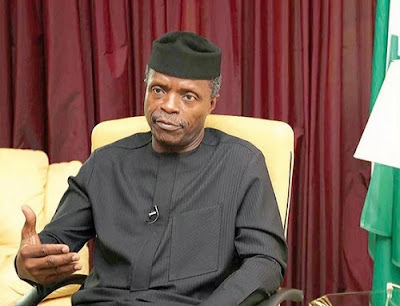 He further stated that the National MSMEs Clinic is an initiative of the present administration, domiciled in the Office of the Vice President. "It is aimed at encouraging innovation, hard work, dedication and industry in the MSMEs sector."